Description: Asparagus or Asparagus officinalis is a herbaceous plant cultivated for the young shoots of green or white with a pleasant taste and very important properties. Many people consider it as a vegetable relish, asparagus can be included in many types of food and prepared in many different ways. Great price on the market, approx. £ 10/kg fresh asparagus, is due to the fact that the process is difficult enough. Depending on the chosen method of cultivation (seeds or crowns), asparagus can be harvested at 2-3 years of cultivation, in the first year production is very low, and harvesting in this period will lead to weakening the plant. 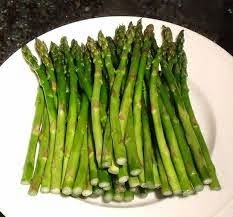 Among the most important medical properties of asparagus are: prevents and treats heart disorders, regulates blood pressure, restore intestinal flora, treats rheumatism, is considered a natural diuretic, arthritis, reduces cholesterol, improves the condition of the liver, anti-bruiser, aphrodisiac, strengthens the immune system, reduces menstrual pain. As I said above, there are two methods of cultivation, the seeds and the crowns. The seed process lasts longer and there is no assurance that it will catch all the wreaths (or roots), in English can be found by name of asparagus crowns, growth is much faster in 2nd year green asparagus is already good for consumption. Asparagus is very resistant to climatic fluctuations, but one of the most important things is to the cultivation of the soil. Soil cultivation must be light and Sandy, to allow easy growth and a good drainage of the shoots of asparagus. A culture of asparagus produces a single cultivation for about 15-20 years, with a yield of 3-5 t/ha from year 3 +. The best known varieties grown are Jersey Giant, Jersey Knight, and Jersey Prince. (Crowns) roots of asparagus for these varieties can be found for sale on the international sites. The price of Crowns is 1-1,5 EUR/PCs This produces more root shoots for 20 years. Harvesting is done one month per year (mid May-mid June), in more laps, with specification is checked, not even all the young shoots, which leads to the weakening of the plant. In terms of taste, opinions are divided, some claim that green asparagus is more aromatic and shown in consumption on the barbecue or fried dishes, while the more tender, white suitable for soups cream or puddings. Resources required:-a very good documentary about the process of cultivating a very good effective plan for sales up to harvesting clients must already exist, the product should be delivered directly. The asparagus should be sold as fresh as possible. Advantages:-asparagus begins to be increasingly searched for product health offers many advantages to customers-huge sale price-the product can be prepared and included in a multitude of ways and recipes. Conclusions: on the market appear more and more recipes which include asparagus and more and more people are turning attention to a healthy lifestyle. Fresh asparagus is currently very difficult to us to preserve the existing one in stores doesn't have the amount of properties and similar taste of the fresh. If the strategy of sale and orders will be registered in advance, and after harvesting asparagus will be directly delivered, this business can be very profitable. 0 Response to "Business Ideas: Growing asparagus"